Scavenger Hunt 2016 is a two-week challenge comprising over one hundred cryptic challenges, uniting individuals all over the world to solve challenges, scavenge items and cause absolute mayhem! 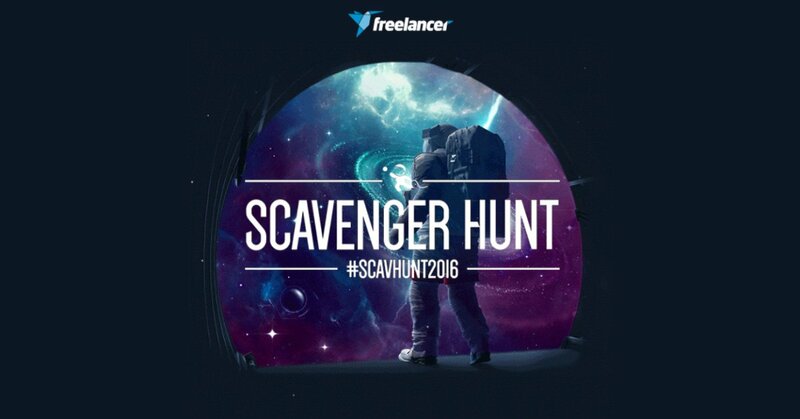 Freelancer.com recently announced the Scavenger Hunt 2016 where you can win upto $30,000 USD in prizes. Scavenger Hunt 2016 is a two-week challenge comprising over one hundred cryptic challenges, uniting individuals all over the world to solve challenges, scavenge items and cause absolute mayhem! All challenges will require you to take photos, videos and/or submit text-based answers. As such, it’s important to keep a smartphone with you at all times to capture your attempts. Remember to use High Definition (HD) when filming or taking photos. Each challenge that a Scavenger team completes earns the teams more points. And of course, the team with the most points at the end of the competition wins! Fame, glory and $30,000 USD in prizes! The Grand Prize for a team that excels in the most challenges is a whopping $15,000 USD. Then there are special category prizes for teams that do something a little special, a little extraordinary. Sign up on the Scavenger website using either your Freelancer or Facebook account. It’s highly suggested you link your Facebook account to your Freelancer account as many features use Facebook. Once you have signed up you’ll need a team; you can either create a new team or join an existing team. If you do not have a team, never fear! FIND ME A TEAM function will automatically place you with the coolest group of people from all over the world. Freelancer Scavenger Hunt 2016 registrations will close on 18th July 2016. Your fame, fortune and the chance to break world records are at stake. Gather your team and sign up for a completely out of this world ScavHunt.